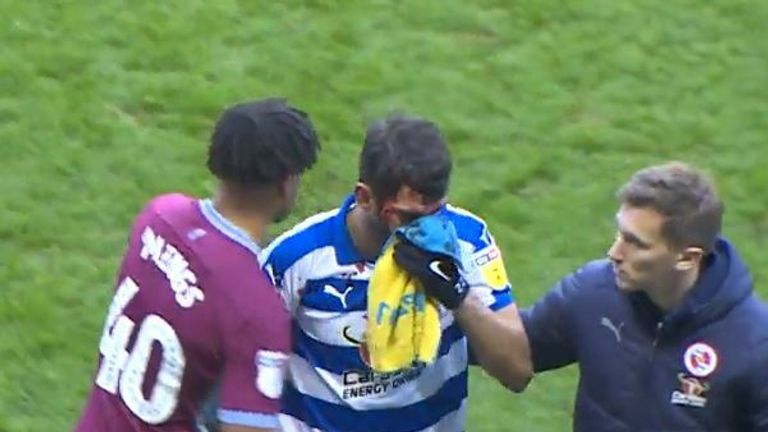 The FA are looking into an alleged stamp by Aston Villa defender Tyrone Mings that left Reading striker Nelson Oliveira requiring surgery. Mings, on loan at Villa Park from Bournemouth, appeared to stamp on the face of Oliveira, leaving him with gashes on his face. Reading tweeted after the game, which finished 0-0, saying: "Nélson Oliveira has had surgery and is recovering well." Mings also took to Twitter, where he apologised to the Portuguese forward, writing: "Feel awfully sorry to Oliveira, I hope he is ok."
Referee Geoff Eltringham did not punish Mings at the time, and the FA are waiting to see his report before deciding whether to take any action. Mings was handed a retrospective five-game ban for stamping on the head of Zlatan Ibrahimovic while playing for Bournemouth against Manchester United in 2017.